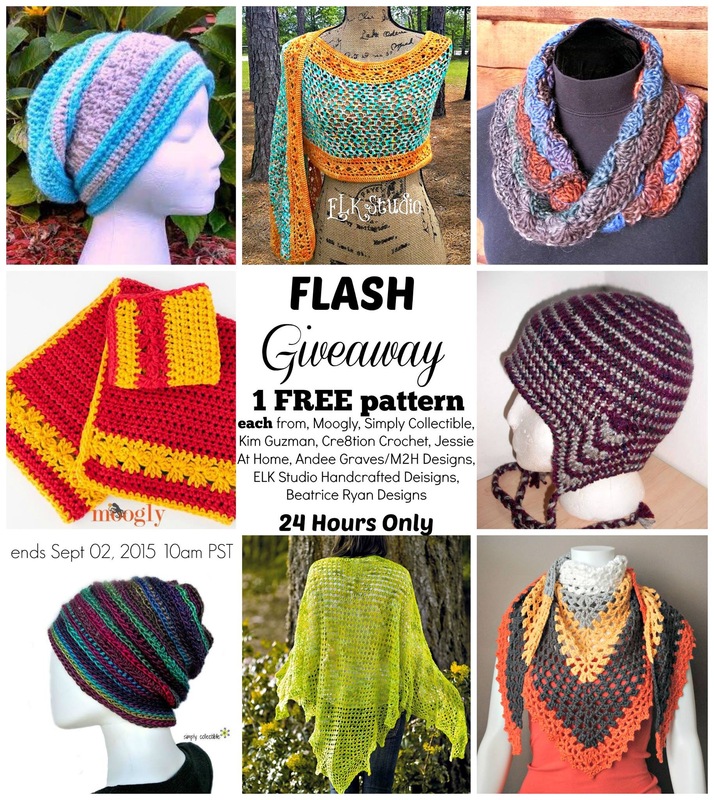 It’ A Flash Free Pattern Giveaway Blog Hop~8 Great Crochet Designers!! It’s a special day here at Beatrice Ryan Designs… I am participating in the Flash Free Pattern Giveaway Blog Hop with 8 of my favorite crochet designers…. Like most of you know, here at Beatrice Ryan Designs all of my patterns are free. But, many of the designers participating are giving away one of their paid patterns for today only for FREE!!! All you need to do is follow our circle of the Flash Free Pattern Giveaway Blog Hop to get all 8 patterns for free… Each designer will give you a code to get their individual free pattern… Then, At the bottom of each designers post there will be a link to the next designer,,, So don’t miss any of them! And you can add it to your Ravery favorites for later!! Click Here!! Now, On to the next awesome designer in the Flash Free Pattern Giveaway… My good friend Tamara Kelly from Moogly!! Not only is she an amazing designer and blogger, but she is a very sweet friend too!! Head over to Moogly now to get your next free pattern!! Click Here…. Thank you so much, this is very generous and a lot of fun! THANK YOU, THANK YOU, THANK YOU! A big thank you to all the designers! Some of these patterns are actually ones I have looked at but decided to not buy (have to keep to the crafting budget), so I truly appreciate having the opportunity to get them for free. Now to go through the yarn stash and begin the Christmas gift projects! Every time I click on the link, I get an advertisement wanting me to sign up for Facebook. How do I get to the patterns? You just click the x in the corner of the add to close it without going to.. Is that on My page?? There is no “X” in the upper right corner; it’s a link to adchoices. If I wait for the little ad (Facebook or Chevy) to disappear, it stays on your page. The only way I see to getting to the next blog is to copy the url that appears at the bottom of my web browser when I put my pointer over the link to the next blog. Im not sure what exactly you had going on… The link that said to go to Moogly… Click here was a direct link to her page.. If you hovered over any other underlined word it may have been an ad and not the link to take you to her site… I just checked it and all was fine… Sorry for the inconvenience!! In each ad there is an x in the right corner of the ad itself.. This is such a wonderful and generous idea and timely, too!!! Thank you for being part of organizing it!!!! Thank you so much for such beautiful patterns!! I love your patterns, thank you! Thank you so much! I love your patterns, they’re gorgeous! Thank You All 😀 I cant stay, I must Hop-along 😉 But I will come back again! Great!!! More new free patterns coming very soon!! 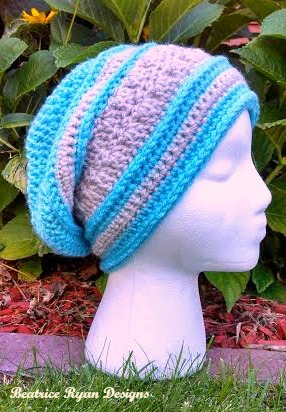 I love this hat – was already in my Ravelry Queue and Favorites! and very high up on an extensive list of patterns! Thank you again! Your patterns are AMAZING! Cool! So nice to meet you! Love your patterns. Nice to meet you too and thank you!! Thanks for participating in the blog hop. I love the hat. And thank you for advocating for breast cancer patients. Having had a nasty encounter with that disease myself, it is a cause close to my heart. I’m so sorry you lost your friend to this wretched disease. Thank you … It is good to hear you made it through the horrible disease!! Thank you for this wonderful, fun hat pattern. I will make many. Tried and tried but could never figure out how to get the patterns.